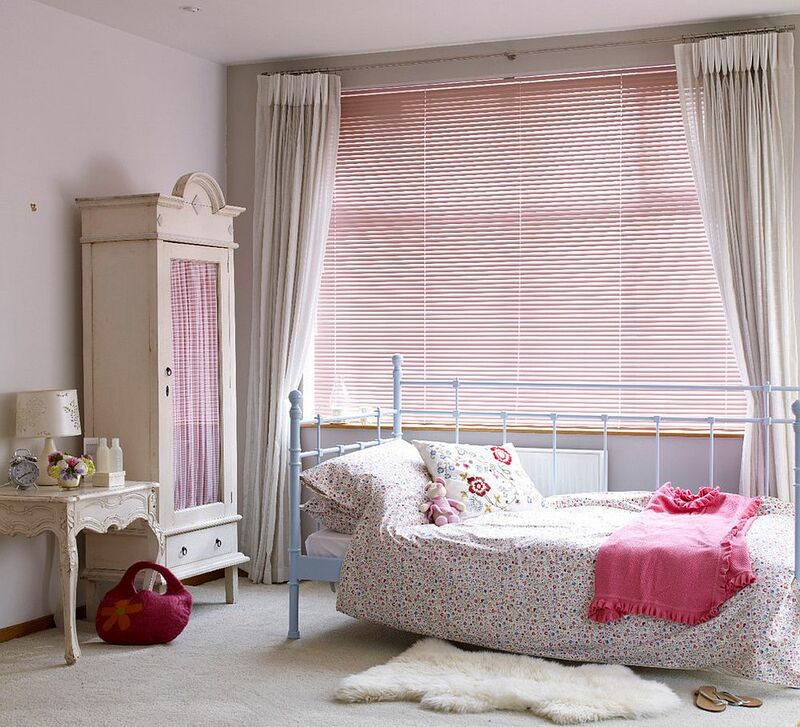 Picking a theme and style for the kids’ bedroom is a pretty challenging task, and it is often a fine balance between what you want, what your little one dreams about, and of course the budget constraints that you need to work with. 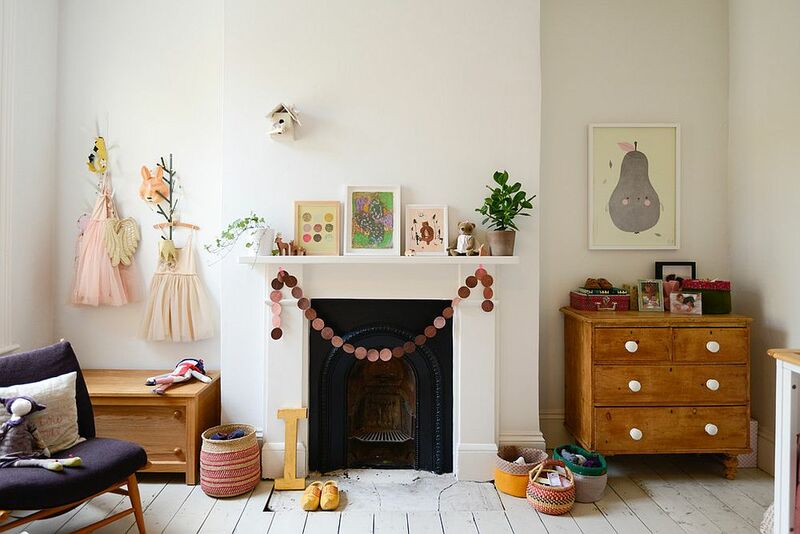 If you have a three-year-old around who constantly is coming up with new ideas (as crazy as they might be), then the entire process becomes even more taxing. 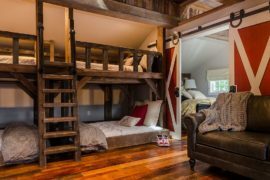 But any parent will tell you that it is well worth the hassle once you see the big smile on their faces at the end of it all. For those still struggling to pick a style or exploring the many options out there, we present the trendy, elegant, cool and pleasant shabby chic style. 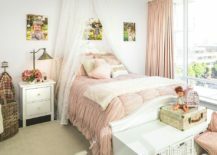 There is absolutely no denying the fact that white is the essential color of shabby chic rooms, and even when it comes to kids’ bedrooms with this style, white is often the go-to color. 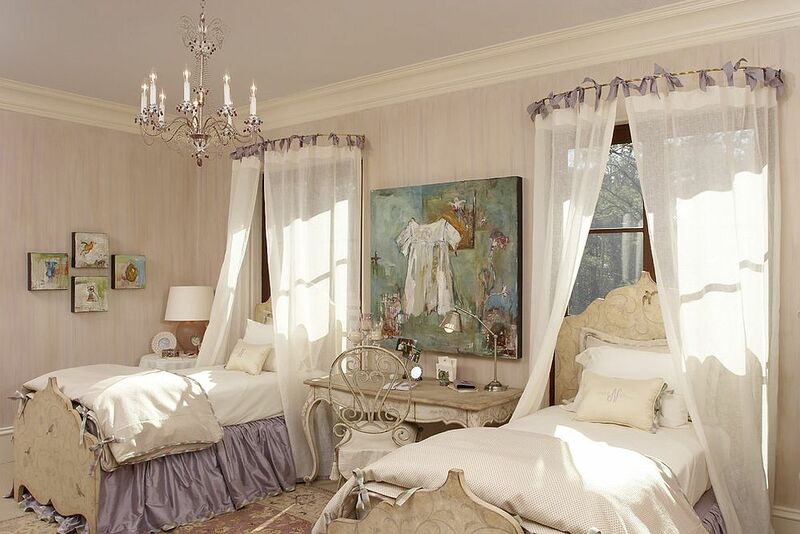 That does not mean you just pick one shade of white and then create a lifeless setting that is devoid of excitement. 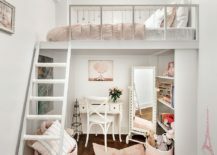 Let’s face it; we are talking about kids’ rooms here! 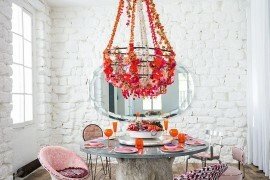 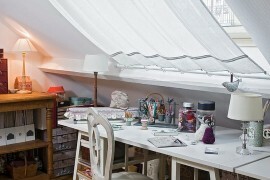 Instead of white, light grays, gentle bluish hues and pastel pinks and yellows provide the best alternative. 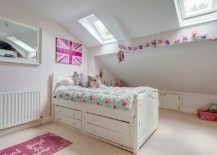 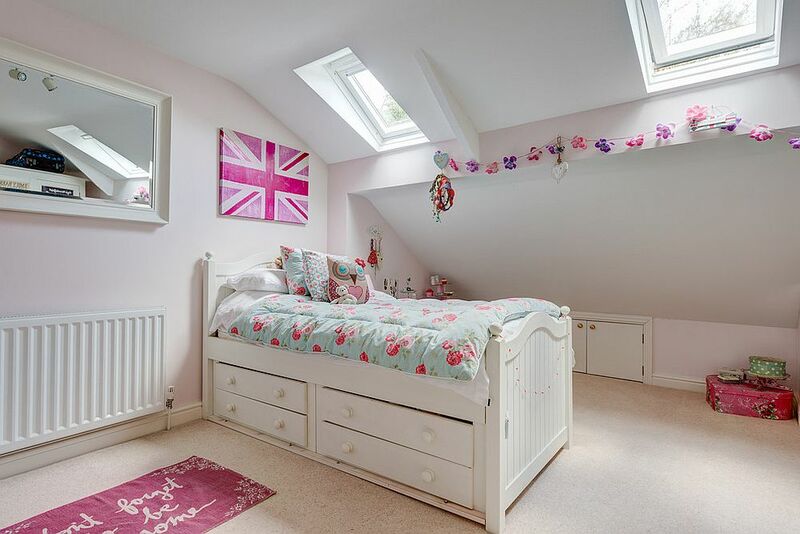 Add to it light purple hues, and you have a girls’ bedroom that is inviting, understated and yet both expressive and cheerful. 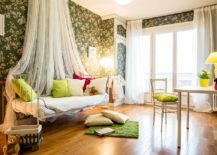 While classic shabby chic-style rooms allow for few bold colors, their contemporary counterparts that contain a healthy dose of modernity tend to be more welcoming in terms of brighter hues. 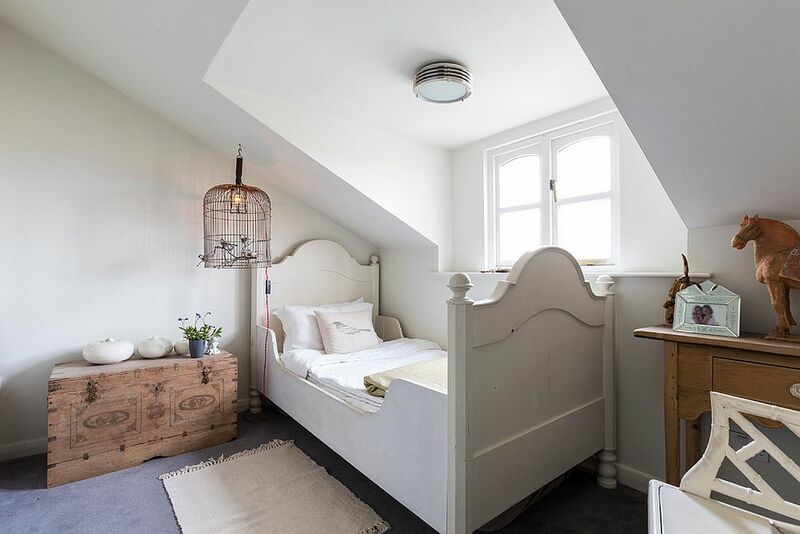 Combine shabby chic touches with styles such as Scandinavian, modern, midcentury or even contemporary for a more refined and vibrant kids’ space. 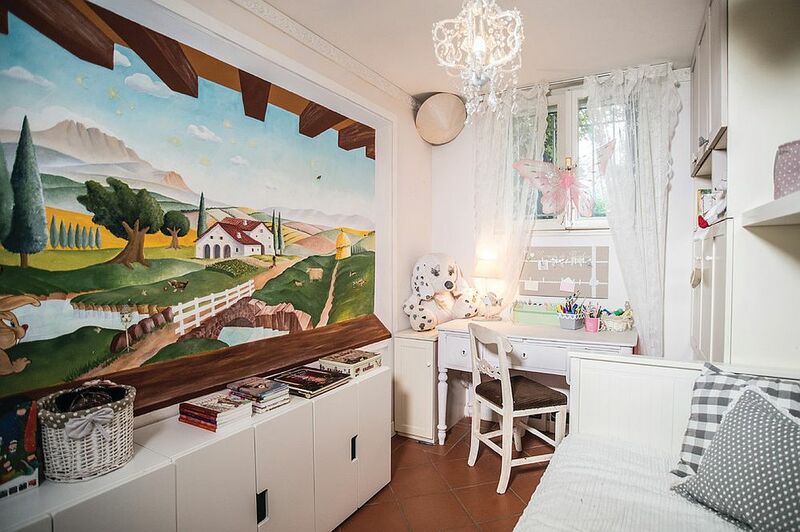 Do the simple and plain backdrops seem far too boring for the kids’ bedroom? 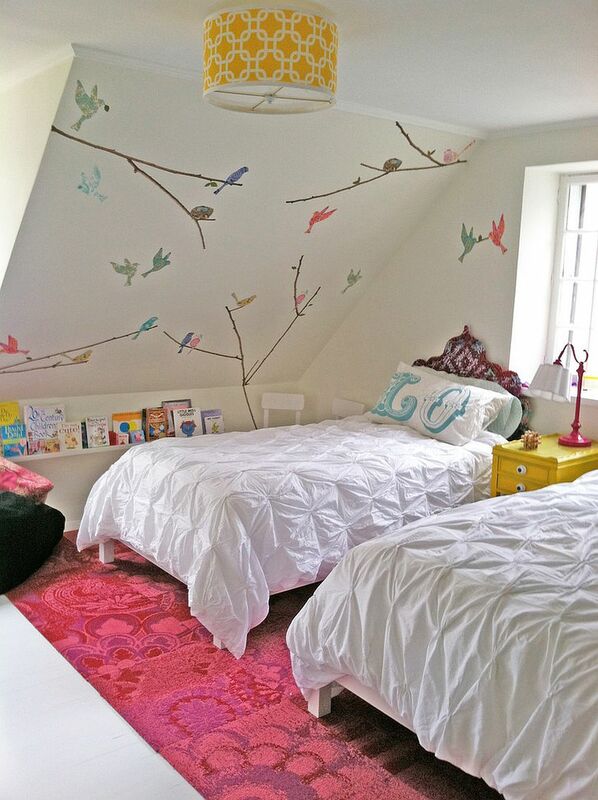 No problem at all, as you can always turn to wallpaper, wall decals and fantastic murals to add both fun and pattern without flooding the room with too much color. 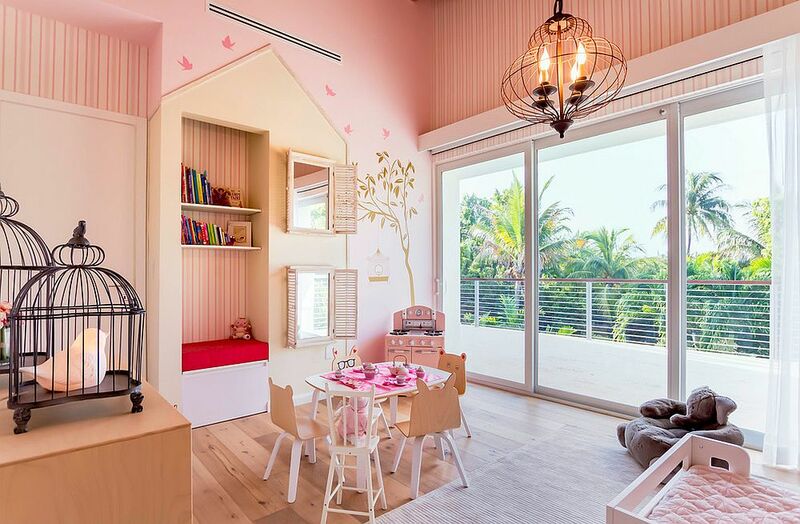 Wallpapers in pastel hues with flowery patterns are absolutely perfect for the shabby chic room, and you can complement them with a striped ceiling or even a fun accent wall with a bold mural to create a vivacious setting. 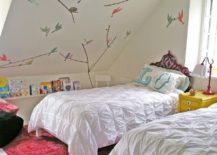 When using wallpaper that brings plenty of pattern to the room, make sure that you do not use more than 3 or 4 different colors at most. 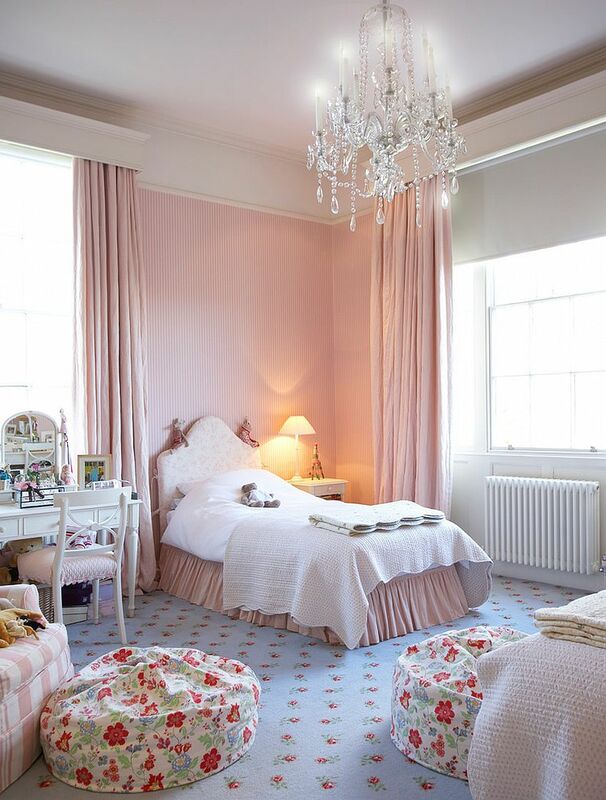 A tone-on-tone approach works very well here, and it helps you usher in contrast without creating visual clutter. 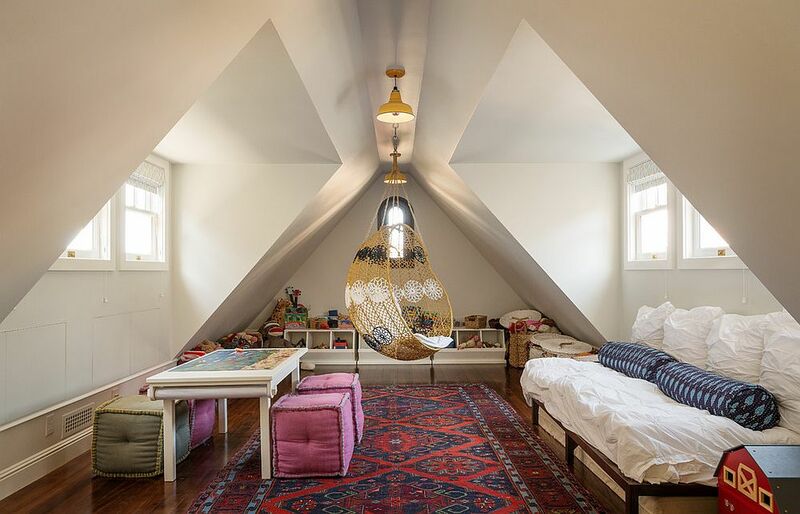 Moroccan rugs and fun accessories can accentuate this pattern and add to it to give the room a coherent and classy look. 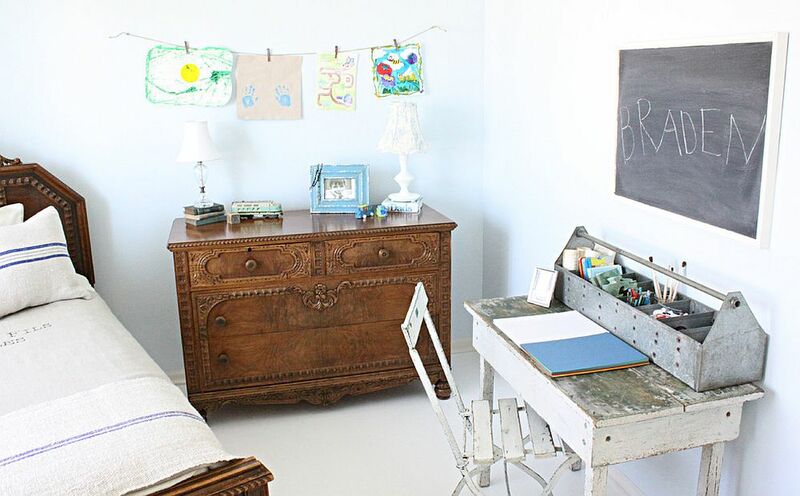 Antique finds and vintage pieces are generally a must for the shabby chic bedroom, but in the case of kids’ rooms, you can try giving that modern bedside table or even bed frame a distressed finish using paint to get the desired look. 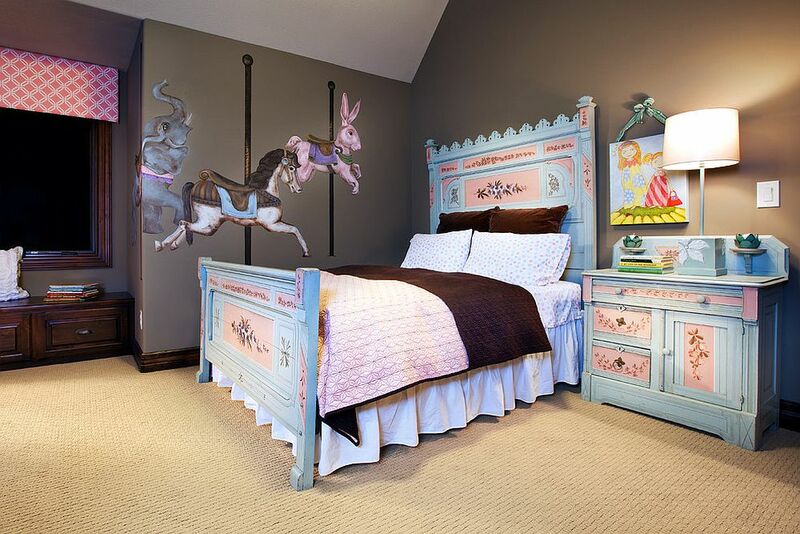 One of the advantages of the style is that it lets you put great flea market finds and dusty old décor stuck in the attic into the kids’ room by just giving them a quick and safe makeover. 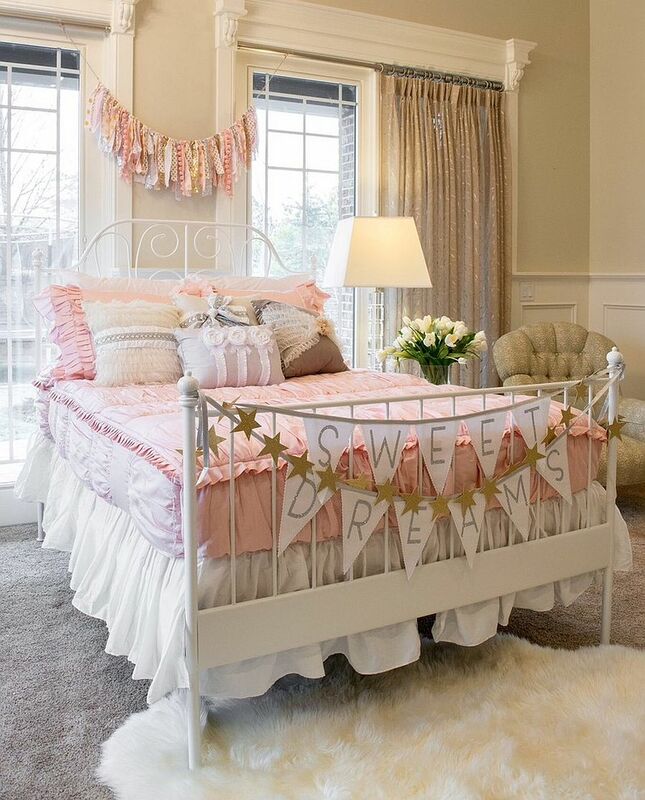 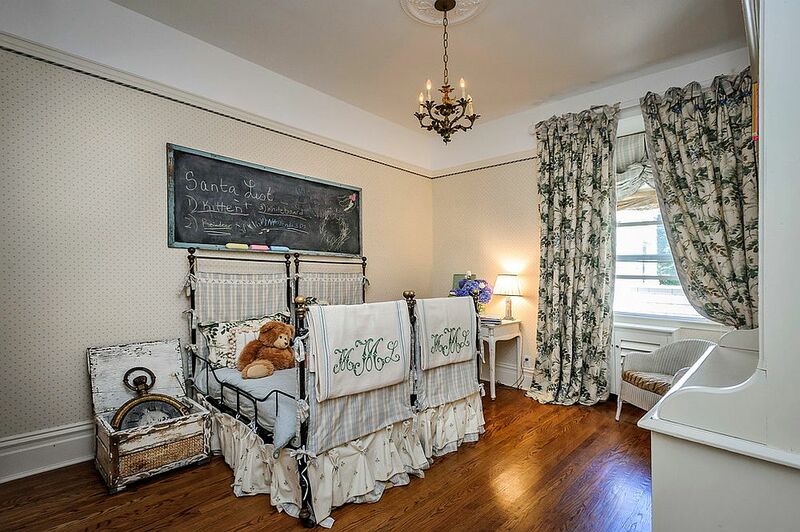 Remember that old metallic accessories and décor that chips away slowly or is simply not finished well might not be clever options for the kids’ room. 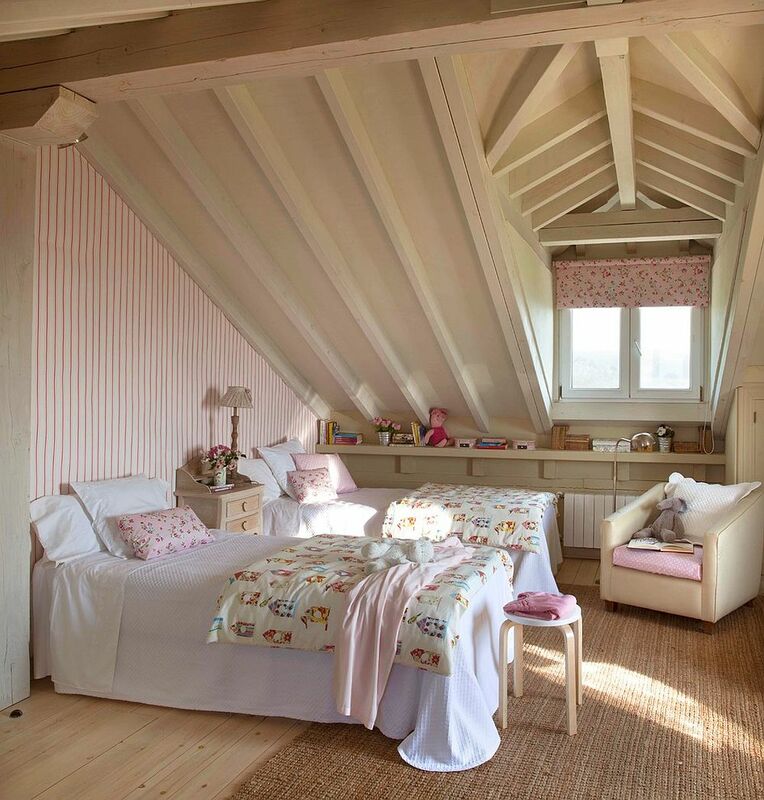 Finally, we have the small kids’ bedroom, and shabby chic is a style that seems completely at home in such rooms where space is an issue. 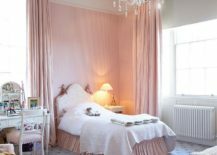 Unlike many of the previous inspirations that turn to bold wallpaper or bright pastels, most of these rooms tend to use white, with cleverly placed pops of pink, calming blue or purple to fashion a comfy and cheerful atmosphere. 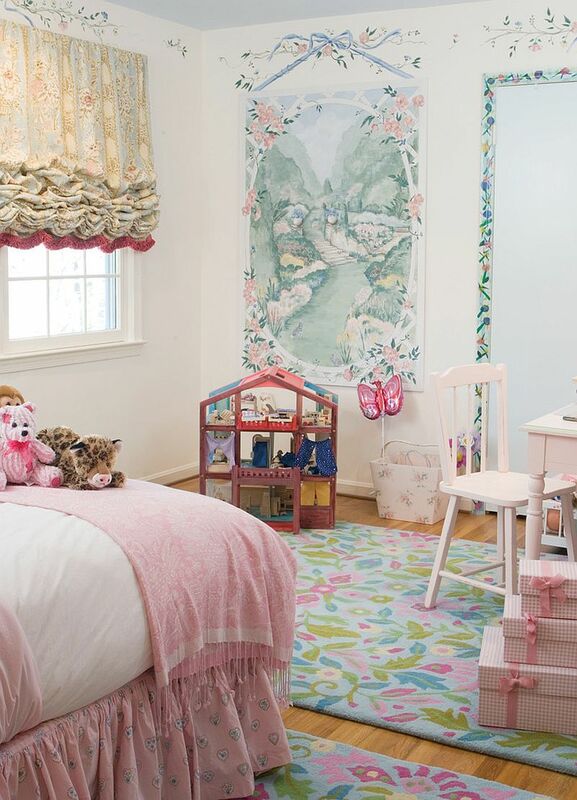 It is colorful rugs, custom bedside tables and ingenious wall murals that bring in color, while the background is kept as neutral and monochromatic as possible.